Wow, what a heart-stopping thriller; imagine you are the son of a serial killer who has claimed 124 victims before being jailed. Jasper Dent’s father, Billy, made sure he schooled his son from a very young age in his evil inclinations. But the reader sees Jasper as a truly likable hero who is tortured by what his father did only wants to help law enforcement when it looks like serial killer is on the loose mimicking his father’s first victims. A true YA psychological thriller that is very, very disturbing, but oh so good. 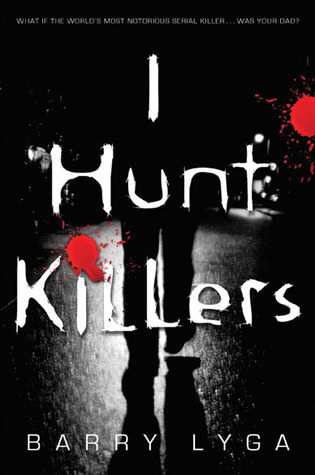 Sign into Goodreads to see if any of your friends have read I Hunt Killers.